MELBOURNE, Australia (6 March 2017) – Nissan Australia is pleased to confirm that 2015 GT Academy International winner Matt Simmons will return to the Blancpain GT Series Endurance Cup this year for his second season as a professional race driver. Simmons will drive the #22 Nissan GT-R NISMO GT3 in the Pro Class, prepared by RJN Motorsports. Less than two years ago, Simmons held a full-time job at Australia Post before turning his life around when he won the Nissan PlayStation GT Academy competition, granting him a full season as a professional racer. Simmons enjoyed an impressive debut season in Europe last year – including a solid seventh place class finish at Silverstone. This year, however, the challenge will step up, with Simmons and his new team-mates competing in the Pro Class. Joining Simmons in the #22 Nissan will be Welshman Matt Parry and Brit Struan Moore. Parry spent the 2016 season competing in GP3, while Moore raced in a number of categories, including Blancpain GT and Japanese Formula 3. The #22 GT-R will share a garage with the #23 official NISMO factory-backed entry to be driven by Lucas Ordonez, Alex Buncombe and Bathurst 12 Hour winner Katsumasa Chiyo. Simmons has left his home base of Queensland, Australia, and is being thrust straight into a pre-season driver fitness camp with his Nissan team-mates ahead of the official pre-season test at the Circuit Paul Ricard in France on March 13-14. Round 1 of the Blancpain GT Series Endurance Cup will be held at Monza, Italy on April 22-23. QUESTION: It’s fantastic news that you will continue your racing journey. What are you thoughts now as you head back from your second season in GT3 competition? MATT SIMMONS: I am so excited about my racing journey continuing into 2017. This off-season was a little different to last year as I wasn’t sure what I would be doing and was happy to race anything with Nissan. To be confirmed now, to have another crack at Blancpain in the GT-R NISMO GT3 is the best possible outcome. I can’t thank Nissan Australia and RJN Motorsport enough for making this all possible. SIMMONS: I feel extremely privileged to go to race tracks that I have raced at before. It will definitely be an advantage for me. That doesn’t mean it will be easier though, as we are stepping up to the Pro Class so I am going to have my work cut out for me. I am looking forward to the challenge that this year will bring. QUESTION: Two new team-mates for you this year – Matt Parry and Struan Moore. What do you think of your new co-drivers? SIMMONS: Well, we have two Matts in the team now, so I might have to get used to people calling me “Simmo” a bit more! Both Struan and Matt have a heap of racing experience across a whole array of professional championships so I am excited to team up with them and learn as much as I can. I can’t wait for the pre-season testing to get under way and get their thoughts on taming the GT-R NISMO GT3 beast. QUESTION: The last time you were in the GT3 car, things didn’t go your way in NZ. Was that a reality check for you or was it just one of those things? SIMMONS: It definitely wasn’t the best way I wanted to finish my first year in racing, but that’s motorsport and you have to move forward. I learn every time I am in a race car and, you learn even more when its tough weekend! I had amazing people around me to work through it and I feel ready to get back behind the wheel again this year. QUESTION: What are your expectations for the season? SIMMONS: I really just want to try and improve at each round we race at and continue my development. Last year, I found it was the little things that caught me out. With the experience that I gained, I will be working hard to iron those kinks out with the team and aim for the best result each race weekend. “It’s fantastic that Matt is back in the Nissan GT-R NISMO GT3 for his next season in the Blancpain Series,” Emery said. “Matt’s first year in the car showed him to be fast and reliable and an excellent ambassador for both Nissan and the GT Academy program. He learned a tremendous amount in a short period of time and did a great job in his first year racing one of the fastest GT3 cars on the grid in one of the world’s toughest motor racing competitions. “It’s great that he will be able to build on his opening season’s experience and again demonstrate plenty of the speed he showed in 2016. 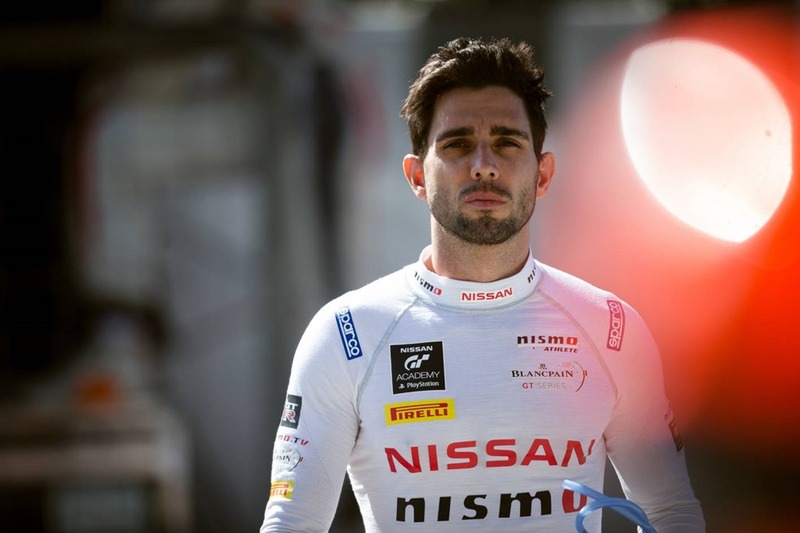 “We’re thrilled to welcome Matt Simmons back behind the wheel of a Nissan GT-R NISMO GT3 for the Blancpain Series,” Neville said. “Coming from the GT Academy programme to make your debut in what is the most competitive GT3 racing series in the world is a huge undertaking. “He faced an incredible learning curve last year and did a brilliant job. Now he has a year’s experience under his belt, he will be able to put that knowledge and experience to good use.